Only 20 are being built by Dutch coachbuilder RemetzCar. Tesla has yet to enter the shooting brake market, but if you’ve ever wanted a Model S with even more cargo space, there is now a solution. After , Dutch coachbuilder RemetzCar has finally completed its bespoke Tesla Model S shooting brake commissioned by car collector Floris de Raadt. “The idea was to translate my Tesla Model S into a dynamic and sporty yet elegant Shooting Brake, rather than creating a car with maximum luggage space,” said de Raadt. 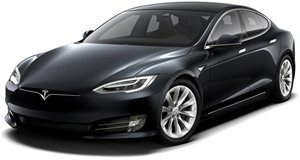 “Niels van Roij Design developed several options for the conversion, focusing on premium design combined with limited conversion costs: thus making coach building available for a larger group of connoisseurs.” The result is impressive, to say the least - turns out the Tesla Model S translates surprisingly well into a wagon. The EV's core structure remains intact including the crumple zones, but the roofline has been extended. A bespoke tailgate was also developed featuring a rear spoiler with a hidden rear window wiper and brake light. To give the Model S a bolder look, the Dutch coachbuilder also added a chrome trim that runs from the A-pillars all the way along the roofline and around the panoramic roof. RemetzCar will be showcasing the Tesla Model S shooting brake at the International Concours d’Élégance Paleis Het Loo in the Netherlands before building just 20 examples. Pricing has yet to be announced. Of course, this isn’t the first time we’ve seen a custom-built shooting brake based on the electric sedan. UK carbon fiber specialist QWest recently , but RemetzCar’s effort looks far more refined and elegant, as the bespoke tailgate merges with the design more seamlessly.